WELCOME! INSURANCE MANAGEMENT CONSULTANTS is one of Kansas City's top insurance agencies. Since the 1960's, we've provided our clients a complete range of superior products and services and saved them a lot of money in the process. We operate locally in the Kansas City Metropolitan area with a firm commitment to exceptional service to our valued clients. 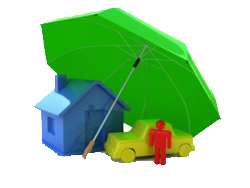 This site was designed to provide you with fast information about insurance protection for your home, autos, boats, motorcycles, life and health, and other special risks. Please browse our website to learn more or contact us at your convenience. Why should you buy from an Independent Agent? As an independent agent, we don't work for a single insurance company, WE WORK FOR YOU. Unlike "captive" agents that can only represent one company, we're able to work with many of the strongest and most respected insurance companies in the world. You'll have access to high quality products from companies that have outstanding reputations for fast and fair claims service. Our accomplished staff are licensed in Kansas and Missouri and have many years of experience and individually hold a number of professional designations. Our most important goal at I.M.C. is to help our clients get the finest insurance coverage possible at the most competitive prices, while providing "personalized" service. We will personally work with you to ensure you are getting the best protection at the least expensive price. At absolutely NO COST to you, we can provide a complete analysis of your insurance needs. Then we will assist you in selecting the products/companies that best meets your specific situation. Unlike other independent agents, we will never "charge" you for any of our services.